Bitcoin and Money Services Businesses (MSB) find it very difficult to open and maintain bank accounts. The global hysteria over possible venues for money laundering (unless of course you are HSBC) has caused banks globally to curtail their support of MSB clients. Several exchanges figured out that Taiwanese banks would bank them with minimal issues. The two most well known exchanges utilising Taiwanese bank accounts are Bitfinex and OKCoin International. The American perception of Taiwanese banks lately is that of financial institutions with lax KYC / AML procedures. Read the following excerpt from a Reuters article about problems with Taiwan’s Mega Financial last October. It is the second bank branch of the state-controlled firm to run afoul of U.S. financial authorities, after its New York branch was fined $180 million for lax compliance and anti-money laundering violations in August. Mega Financial, which has close ties to Taiwan’s government, has been under scrutiny since about 200 of its customers were named in the so-called Panama Papers, a massive leak of documents from a Panamanian law firm that put the spotlight on the shadowy world of offshore companies used to avoid tax. In order for Taiwanese banks to maintain their banking relationships in America, they must update their KYC / AML procedures for MSB clients. Unfortunately a large swath of MSB clients will be deemed too expensive to bank, and will be jettisoned. Compliance is extremely expensive. Banks waste billions of USD a year on compliance and compliance related technology. It only serves to further protect incumbent financial institutions at the expense of small and innovative upstarts. Bitfinex, OKCoin, and possibly other Bitcoin exchanges are affected. It may be that they have been told their accounts will not longer by active by a certain date. They are now scrambling for alternatives. Bitfinex officially announced that both USD deposits and withdrawals are halted. OKCoin International has posted a notice that all USD deposits will be refused by their banking partner in Taiwan. Many old-timers know that the suspension of fiat deposits and withdrawals heralds tough times ahead for any Bitcoin exchange. To some traders, this feeling is all too familiar. 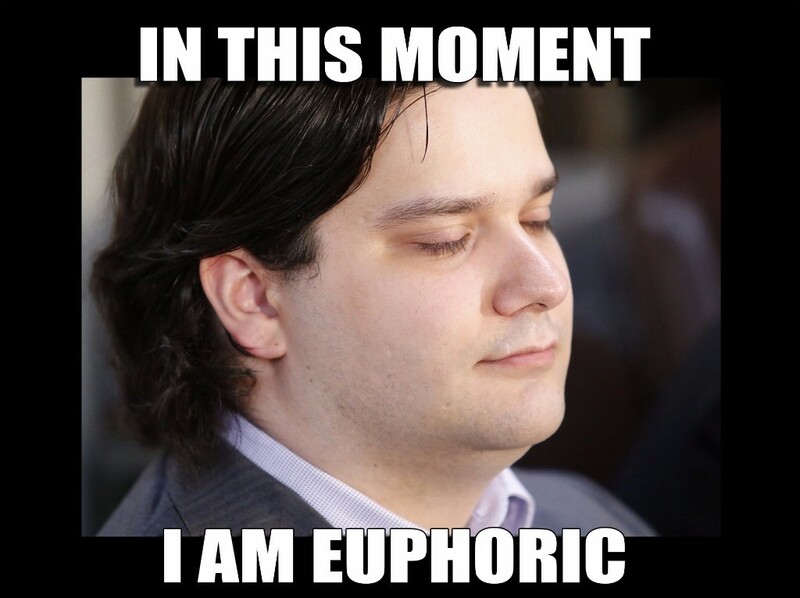 Mt Gox’s slow motion bankruptcy began in 2013 when their USD held in America was frozen. As users rushed for the exits, the Bitcoin thought to be held in custody was not there. In early 2014, Mt Gox shut its doors and filed for bankruptcy. While traders are right to be nervous, it is not a given that Bitfinex and or OKCoin will be unable to operate. Yet, careful traders will take action. This post will examine how to get your money off the platform, and for those risk seeking traders, arbitrage opportunities that will arise during this time of stress. The biggest hurdle to successfully operating a Bitcoin/Fiat exchange is obtaining and maintaining a bank account. The quality of the banking relationships held by the exchange is a large success determining factor. Most Taiwanese banks have branches throughout the Asia Pacific region. However, most do not have branches in the US. Ultimately that means that movement of USD between non-Taiwanese entities must pass through a correspondent bank in the US. The correspondent bank is fully licensed to do business inside America, and can clear USD. Without the assistance of a correspondent bank, exchanges’ Taiwanese banks cannot process USD deposits and or withdrawals for foreign entities. Given that the majority of Bitfinex and OKCoin’s customers are not Taiwanese, most if not all incoming and outgoing USD must be processed with the assistance of a correspondent bank. In late March, according to a lawsuit filed by Bitfinex, Wells Fargo ceased processing outgoing USD SWIFT wire transfers from Bitfinex’s Taiwanese bank accounts. Wells Fargo is the correspondent bank for the various banks Bitfinex uses in Taiwan. The lawsuit alleged that $180 million of USD was effectively frozen. This lawsuit is one of the only public windows the community received into the struggle between Taiwan banking institutions and their American correspondent banks. A similar situation may have occurred with OKCoin, but they did not choose to fight back through a public lawsuit. Bitfinex and OKCoin USD IOU holders are rightfully concerned. All is not lost. There are still ways to remove funds from these platforms. The easiest way is for users to buy Bitcoin and withdraw it. Then they can sell that Bitcoin on another platform. As more users exit via this method, the price of Bitcoin rises on Bitfinex and OKCoin relative to other exchanges. Those exiting these exchanges are pushing up the price globally. Users can use altcoins such as Litecoin or Ether to exit as well. At the time of writing, the Bitfinex premium to buy alts with USD is similar to buying Bitcoins. Given the low liquidity in altcoins, this may not be cheaper. Bitfinex first indicated in a blog post, that users could withdraw funds via Swiss Francs (CHF) and Hong Kong Dollars (HKD). However a few days later, they announced that their bank refused to process any outgoing wires in any currency. The solution now put forward is to wash funds through their lawyer’s trust account. They claim that as creditors of Bitfinex, users can withdraw via this method only once. Those lucky enough to have domestic Taiwanese bank accounts face no issues withdrawing any fiat currency. As of right now, OKCoin has not issued any announcements regarding the status of funds in their Taiwan bank accounts. Risk and profit seeking traders will be able to conduct arbitrage trades during this funding crunch. The trade I describe below is the most obvious. Buy Bitcoin outside of Bitfinex. Sell Bitcoin for USD on Bitfinex at a premium. Withdraw HKD to your bank account from Bitfinex. Wire the funds at your bank rate back into USD to a cheap Bitcoin/USD exchange. The ability to execute this trade is predicated on the ability to withdraw HKD or another fiat currency easily and quickly from Bitfinex. Given the recent updates, this assumption is questionable. All MSBs globally face similar issues, it may be weeks if not months before Bitfinex, OKCoin, or any other affected exchange is able to establish banking relationships again. Due to the halt of Bitcoin withdrawals in China, XBT/CNY trades at a 15% discount to Bitstamp and GDAX. Therefore the premium on exchanges where fiat cannot be withdrawn, could easily reach a similar 15% premium. Days after filing, Bitfinex withdrew the lawsuit against Wells Fargo. Suing a correspondent bank in America may have been lights out for Bitfinex’s current and future banking relationships. To make matters worse, it may have attracted attention to other exchanges. If Wells Fargo is blocking Bitcoin exchanges, other banks should be thinking: should we block them too? For now, there is still some hope. For every HKD issued, the Hong Kong Monetary Authority backs it with an equivalent amount of USD. The Hong Kong Monetary Authority will conduct open market operations to maintain a peg between 7.75 to 7.80 USD. While the peg holds, HKD is a liquid proxy for USD. If Bitfinex and or OKCoin can launch a liquid XBT/HKD market, they can continue to effectively serve as the most liquid XBT/USD spot markets. Clearing HKD does not require funds to transit through the American banking system. Most of the world just wants to do business, and not worry about hypocritical moralising American politicians’ inspired regulations. Given enough effort, time, and willingness to pay high fees, exchanges will find banking partners willing to process HKD wires. The on and off-ramps between digital currencies and fiat continue to cause significant friction. However, once traders squeeze through fiat gateways into the crypto universe, the trading opportunities are rich. If you desire a product to speculate on the value of Bitcoin without touching fiat, consider trading the BitMEX Bitcoin / USD Swap, XBTUSD.